One thing that seems to happen for me, is that the needles come out, and the yarn seems to always be at my side and I begin stitching almost every time I get a free moment. It's almost instinctive. Like second nature. When days are shorter and time indoors are a bit more normal, my extra few minutes here and there are spent rhythmically stitching away. 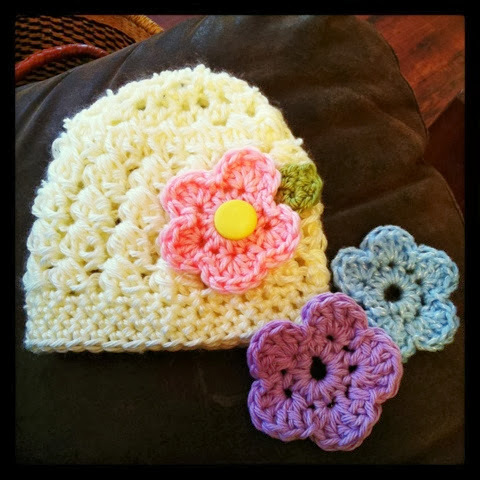 Two of my latest creations have had to do with wee ones. One who is yet to be born, but due on Christmas eve. I, with high hopes of a Christmas babe, decided to go with a Christmas colored Elf Stocking Cap. These are one of my most favorites so far. I love the long tail and the big pompom on the end. I honestly am thinking of making one for myself. So, as the week begins and I have nothing pressing too terribly hard this morning except for getting the kids up and starting lessons. I think I will grab me a cup of coffee and sit down with my yarn and enjoy a few moments of quiet and stitch. 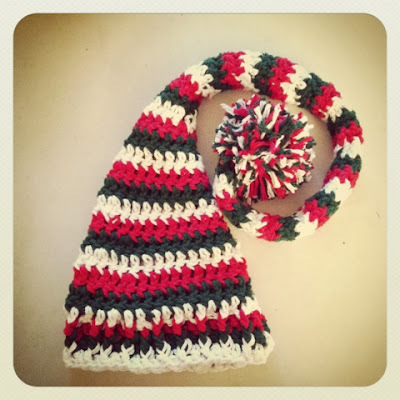 Kimberly has been crocheting hats left and right. She watches tutorials and plink plunk, there it is! I need to freshen up and tidy up my sewing room and do some crafty things!